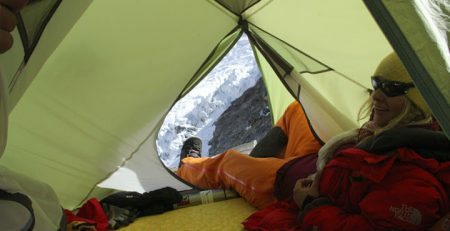 Born in Moscow in 1982, Oksana Chekulaeva has been a member of the Russian Mountain Guide Association since 2011. She has more than 70 successful ascents to Elbrus Mt. in her back, from the south, north and west routes, 2 expeditions in Aconcagua, some 6000m+ peaks in Bolivia, Pamir -Himalaya on a snowboard and many first descents on the Caucasus mountains. 1. Let’s start from the very beginning: how did your romance with the mountain start? What where your baby steps? It became a new overwhelming passion; new friends I rode with and the beautiful nature around changed everything in my life. 3. You’ve been a member of the RGMA since 2011. When did you decide to turn your passion into a job? Snowboarding for me has always been something more than just a hobby. It’s more a lifestyle, the way to live on the mountains, to communicate with the elements and recharge my batteries. So I’ve been working as an instructor and a guide for more than 16 years. And I‘m happy and thankful for having such a job. I would have been bored shredding all the time just for myself. I like to ride in new places, but I also like to share my passion with others. 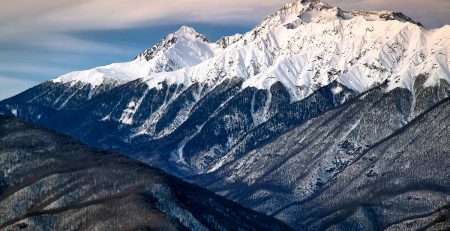 The Caucasus mountain range stretches over 1150km from the northwest to the southeast between the Black and Caspian seas. It is similar to the Alps, but it’s not as developed and it’s more complicated to travel through the borders of the Russian Federation with Georgia (Abkhazia, South Ossetia) and Azerbaijan. Most interesting for skiing are the Western Caucasus (from the Black Sea to the foothills of Mount Elbrus) and the Central Caucasus (from Elbrus to Kazbek). There are a few big ski resorts. To the west, there is the Winter Olympic resort of Krasnaya Polyana (Sochi). 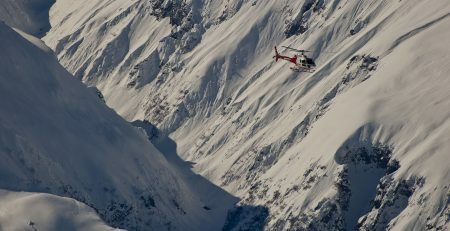 Participants of FWT call it “Little Alaska” because of its solid coastal snowpack and the steep terrain at the top section of Aibga ridge. A wide variety of terrain, the “Magic forest” and more than 1 km of vertical drop from top to bottom make Krasnaya Polyana one of my favorite places. But freeriding becomes more popular every year and it’s more difficult to make first tracks during the day, but if you have a splitboard you can always find places to leave your signature. In the springtime, from mid-March to April, the snow is better more towards the east of the Caucasus Range, in the high mountains of the Elbrus area. It is my second favorite ski area, with 2 ski resorts: one on Mount Elbrus and the second on Mount Cheget, with a huge terrain for backcountry splitboarding. 5. How did you discover splitboarding? How has it influenced your daily routine on the mountain? I did many years of freeriding and backcountry before I discovered splitboarding. We always hiked up from the lifts with friends to go off-piste, but I had never thought about riding far from the ski resort until 2005, when some German friends invited me to an expedition in the Bezenghi Valley. It’s the highest part of the Caucasus mountain range, called “Russian Himalayas”. We used snowshoes at that time, but this trip changed my concept of freeriding and I started to dream about new lines and first descents. 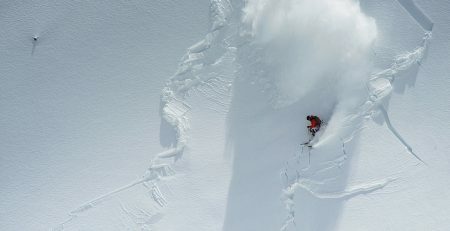 Not heliskiing superstar Jeremy Jones, but Marco Siffredi and Craig Kelly became my heroes. But it was quite difficult to find company, so I start to learn about mountaineering and to practice working as a tail guide in Elbrus. In 2011 the first professional Association of Mountain Guides was created in Russia and I was one of the people invited to the mountain guide course by the standard of IFMGA / UIAGM, under the guidance of Canadian teachers. 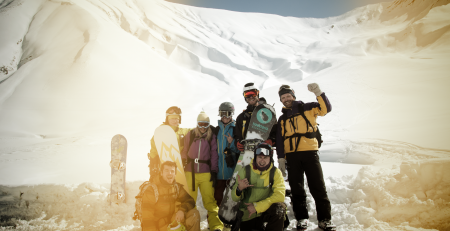 Snowboarders were invited with one proviso – they had to be on splitboards and ski-tour together with the skiers. That was a trigger to buy new equipment and to start using it for backcountry intensely. Now I ride a splitboard most of the season, even at ski resorts. With a good equipment I don’t really feel the difference between a split and a solid board. I can ride, jump and ski-tour with skiers, I have no stress in the flat parts and I easily find fresh powder, no matter how many days after the last snowfall. Splitboarding helps me to look at the mountains from a different perspective, opening new horizons and making it more accessible. Traveling with a light backpack, without sinking into the snow up to your waist is much nicer! 6. Please, tell us a bit about the splitboarding scene in Russia and the Caucasus in general. It’s the very beginning of splitboarding in Russia, and for many it is a relatively new device. Nevertheless, there are a lot of interesting and wild places for skiing in Siberia, Kamchatka, Altai, Tyan-Shan, Caucasus and a long winter, from November to July. 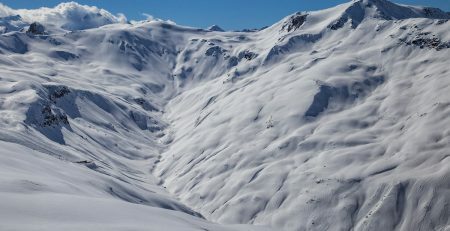 The potential of these places for splitboarding is huge! 7. What would be your main tips for any splitboarder considering travelling to the Caucasus for the first time? The main problem when traveling through Russia and especially the Caucasus, is that not many people speak English there. So try to learn Cyrillic alphabet or find someone who can travel with you and help you with translations the first time (FB makes it easy). Most of the people who live in the North Caucasus are Muslims; they have different traditions and mentalities that we should respect. To be honest, I should say that there are still regions like Chechnya, Dagestan, Ingushetia, North Ossetia I wouldn’t recommend you to go. At the same time, it’s quite safe to go in the Elbrus area and the western Caucasus. According to my travel experience, mountain people are the same everywhere and you don’t need many words to understand each other. Russians seem colder than Europeans – we don’t smile often but if we do, we smile from the very deep of our hearts. Be open minded and positive, plan your trip in advance and be ready for a good time. 8. At 5641 m, Mt. Elbrus is the highest mountain on the range and the highest in Europe. After more than 70 ascents, we are pretty sure you know all its secrets. 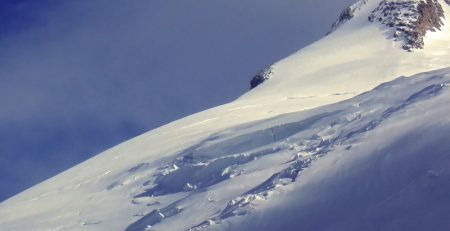 What’s the most attractive thing about the ascent and what is the main obstacle or difficulty when ascending it on a splitboard? Climbing Elbrus is the perfect mix of adventure, exploring high mountains and riding fresh snow in the summer. I like ski-touring in Elbrus also because it’s a logical line from top to bottom. There are many difficulties you should deal with, like hiking in high altitude, cold temperatures, strong winds, changeable snow conditions and crevasses. Sometimes it could be fresh powder but at the same time it can be concrete packed snow, you never know. But it’s one of the most mind-blowing views that you can see at sunrise, standing on the top and riding down higher than the clouds! 9. 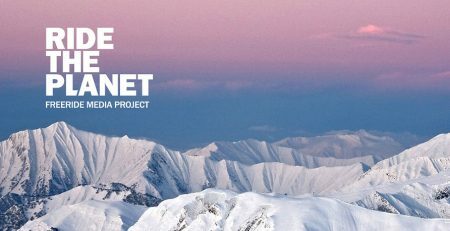 Russia, Georgia, Armenia, Azerbaijan… Many doors lead to this great mountain range, but on the other hand, it seems distant and threatening, are they working on attracting adventure tourism at all? The Winter Olympic games were held in Russia 2 years ago and this year they opened new lifts on Mt Elbrus up to 4000m. But it’ll still take some time for the people who used to live in soviet times to change their mentality and learn how this industry works. It’ll also take time to become part of the professional community of mountain guides for Russia, but I believe everything is changing for the better. 10. These past few weeks, we have been following your expedition to Abkhazia where you have scored some solo first descents. What are the experiences you have brought with you from those mountains? I had dreamed about this possibility for a long time. Abkhazian mountains are on the other side of Krasnaya Polyana resort, but only this year they built a mountain hut and brought several snowmobiles, so getting there in the winter time is possible without a helicopter. Black slate and endless freedom of unknown and stunningly beautiful mountains! With the support of the president of Abkhazia and local people, our challenge was to explore the region’s potential for ski touring, to shoot a video and to do a photo documentary about it, to create descriptions of the ski-touring routes, all done with a minimum budget (no helicopters or ski lifts, only ski-touring) and minimum staff (a rider, a photographer and a video operator). For me it was a very valuable experience in many ways, a great test of my knowledge and experience as a guide, and I think we did our best! During the shooting not a single bear got hurt). 11. How do you feel about those first descents? It’s a magic feeling when you are there, alone on the top, in the middle of silence, surrounded by this beautiful landscapes. You can take you time to make the transition on your splitboard, and nobody hurries you up like it always happens in competitions or heli-skiing. During the ski tour you have enough time to enjoy the view, to choose your line and to remember all little details on the way. Sometimes it was hard to find the balance between taking a risk and choosing a good line for filming, but I feel like we did our best for my level of riding and the limitations of backcountry filming. 12. Do you dream with any expedition in particular? I dream about going back to Abkhazia to continue this project. But for sure there are still a lot of places I want to ride one day. I already tried to climb Peak Lenina (7103m) two years ago but I couldn’t summit it because of strong winds. So it’s important for me to go back and finish this project. In the summer and the fall I will take time to progress on my new passion -cross-country paragliding… and maybe one day mix them both? 13. These days, do you guide on splitboard tours? How can you be reached to hire your services as a guide? We have a little website for Russian guests but soon it will be in English too. Right now the easiest way is to find me in FB. Do not hesitate to contact me if you need information about where to go in Russia and you are welcome if you need guiding on your splitboard tour. 14. 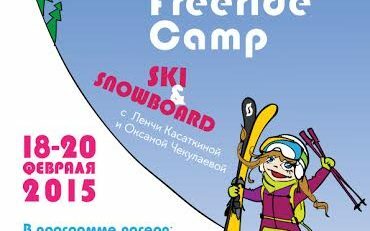 You were the Russian freeride champion in 2013 and you were part of the FWQ until 2011. Are you competitor days definitely over? I stopped competing mostly because of my knee injury. I hope that soon I can fix it and I can go back to competing from time to time. I think it’s important to keep your level of riding, but the most difficult competition is always the competition with yourself. I would like to say many thanks to the people who support me. It’s The North Face Russia and more specifically Sergey Kolomin., Traektoria board shop, Kostantin Mikhailov, Ota Tyl for the genius GARA splitboards and to my husband and travel partner Alexey Zavodskiy. It’s only the beginning.